Chlorophyll is a naturally-occurring pigment found in plants and especially in green leafy vegetables. Chlorophyll has many health benefits due to its high level of antioxidants, vitamins, and minerals. Taking liquid chlorophyll can help to detoxify your body, lose weight, build red blood cells, and is good for your skin. The liquid chlorophyll benefits come from the fact that chlorophyll harnesses the energy it absorbs from the sun. Chlorophyll is naturally found in cruciferous plants and in leafy greens such as spinach, parsley, curry leaves, peas, and wheatgrass. If you really want to benefit from chlorophyll then you can buy chlorophyll in liquid, powder, or tablets form. In this article, you will learn about the many benefits of liquid chlorophyll in your diet. You will also find out how to use the natural health supplement to improve your digestion, lower inflammation, help wounds heal faster, and treat body odor. Liquid chlorophyll is an herbal supplement that contains extracted chlorophyll in purified water. Some people refer to this as chlorophyll water. Consuming liquid chlorophyll or chlorophyll water is a great way to get the same benefits of adding more greens to your diet. Most manufacturers recommend consuming a teaspoon of liquid chlorophyll daily for its health benefits. You can also add a spoon of chlorophyll powder to a glass of water or to your favorite smoothie to help improve their nutritional content. 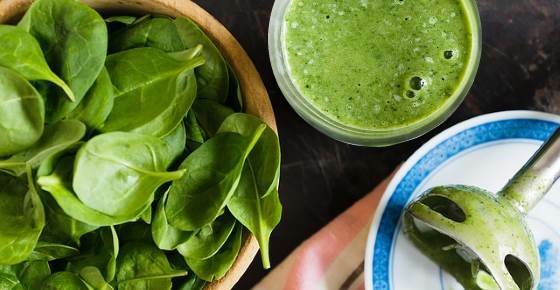 This chlorophyll shot will give your body a boost of antioxidants, minerals, and vitamins. You can also buy liquid chlorophyll in the form of chlorophyll drops. This means you can get all the benefits of eating more greens in this chlorophyll concentrate. You only have to add 15 drops to water to make your own chlorophyll drink. It is clear that chlorophyll is necessary for photosynthesis in plants, but what does chlorophyll do in your body? Let’s look in more detail at how the best chlorophyll supplements can boost your health. Adding liquid chlorophyll to your diet is good for helping to rid your body of dangerous toxins. Chlorophyll powder supplements can also help to reduce the effects of oxidative stress in your body. You can make your own heavy metal detox smoothie which contains lots of chlorophyll-rich food sources. If you want to find helpful information about detox, have a look at my e-book The Detox Guide which will teach you how to cleanse and energize your body naturally and safely. If you want to shed extra pounds of body weight, then taking liquid chlorophyll can help speed up the process. Learn more about simple ways of losing weight and how daily walking can boost your weight-loss efforts. The anti-inflammatory effect and antioxidant properties of liquid chlorophyll mean that it is an excellent wound healer. Learn more about what to do and what to avoid to heal your wound faster. One of the benefits of taking liquid chlorophyll is to boost the number of oxygen-carrying red blood cells in your body. Learn more about some of the best foods to keep your blood healthy and what you can do to prevent iron deficiency anemia naturally. You can take a glass of water with chlorophyll powder to help improve your stamina and physical performance. Find out what ingredients are natural energy boosters that can reduce fatigue without having to resort to energy drinks or sugary foods. A chlorophyll drink made from chlorophyll powder and water can help to reduce chronic body odor and neutralize smells. There is some scientific evidence that chlorophyll for body odor is an effective home remedy. Find out how you can fight underarm odor by making your own homemade deodorant with some of these ingredients. One of the many liquid chlorophyll health benefits is that its antimicrobial properties help to kill off fungal pathogens in the body. This means that regularly taking organic chlorophyll supplements can be good for helping to prevent outbreaks of oral thrush. For example, you can use wheatgrass for teeth and oral health because it is a chlorophyll-rich food. Learn how to spot signs that you may have a candida infection and how you can use coconut oil to treat and prevent oral candidiasis. Another of the many liquid chlorophyll benefits is that it can improve your digestive and bowel health. If you suffer from constipation, find out other natural remedies that can improve your digestion and help you pass stool easier. The deodorizing effect of liquid chlorophyll can also help to remedy problems of bad odors from your mouth. Learn more about some of the best home remedies to freshen breath and help prevent halitosis. Most green leafy vegetables and plants are anti-inflammatory foods due to their chlorophyll content. Instead of consuming a lot of cruciferous vegetables or leafy greens, you can take some liquid chlorophyll for its anti-inflammatory effect. Learn more about the importance of including foods in your diet that help to reduce inflammation and help keep you healthy. The powerful antioxidants in chlorophyll liquid and supplements have some use when it comes to cancer prevention. Although these healthy plant compounds such as chlorophyll have potential use in cancer treatment, more research on humans needs to be carried out. What are good dietary sources of chlorophyll if you want to reap all of its health benefits? In general, most dark-green leafy vegetables are good sources of chlorophyll, especially if they are green throughout. Wheatgrass. Research has shown that wheatgrass is around 70% pure chlorophyll and is very similar in structure to hemoglobin. The difference between hemoglobin and chlorophyll is that the main element in chlorophyll is magnesium and in hemoglobin it is iron. (21) Because chlorophyll has properties that help improve dental health, you can also use wheatgrass for teeth health. You can also easily make your own chlorophyll drink at home using raw green vegetables. For example, you could blend a handful of parsley with some water to make liquid chlorophyll for a health-boosting drink. This may look like green lean syrup, but the chlorophyll parsley drink is full of goodness. One of the most popular chlorophyll powder supplements is chlorella. This is a type of chlorophyll-rich algae with many health benefits. There are also many scientific studies showing that chlorella can help to address a number of health issues. Liquid chlorophyll, powder, drops, and chlorophyll pills are natural products that have many health benefits. As with most herbal supplements, you should not exceed the recommended dose. Most chlorophyllin supplements recommend taking between 100 and 300 mg daily.